WE are in the thick of playoffs for our Falls sports, girls tennis, volleyball, and football all have games this week. Read more to find out when and where you can support our student-athletes! WE will be hosting the 2018 CIF SAC-JOAQUIN Division 4 Girls Tennis Semi Finals at home on our Van Nes Tennis Courts. Our Lady Raiders will take on the Placer Hillmen at 2:00pm on Tuesday, November 6. 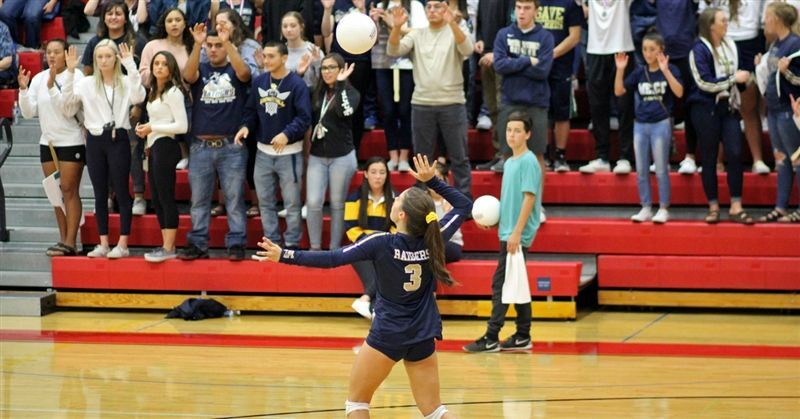 Though they did not win the Sac-Joaquin Section Final, our girls volleyball team did qualiify into the 2018 CIF Girls Volleyball Nor Cal Championships Division II Tournament. See the bracket here. Their first opponent will be the Aragon Dons. Sac-Joaquin Section Playoffs start this Friday for our CC Raiders with a home game against the Elk Grove Thundering Herd. Football brackets here. Once campus parking lots are full, fans are encouraged to park at St. Stanislaus Church. Security guards will not be monitoring Carpenter Rd. Only 2018/19 CIF Playoff Passes will be honored.